The patio outside the library is laid with a herringbone pattern of bricks. 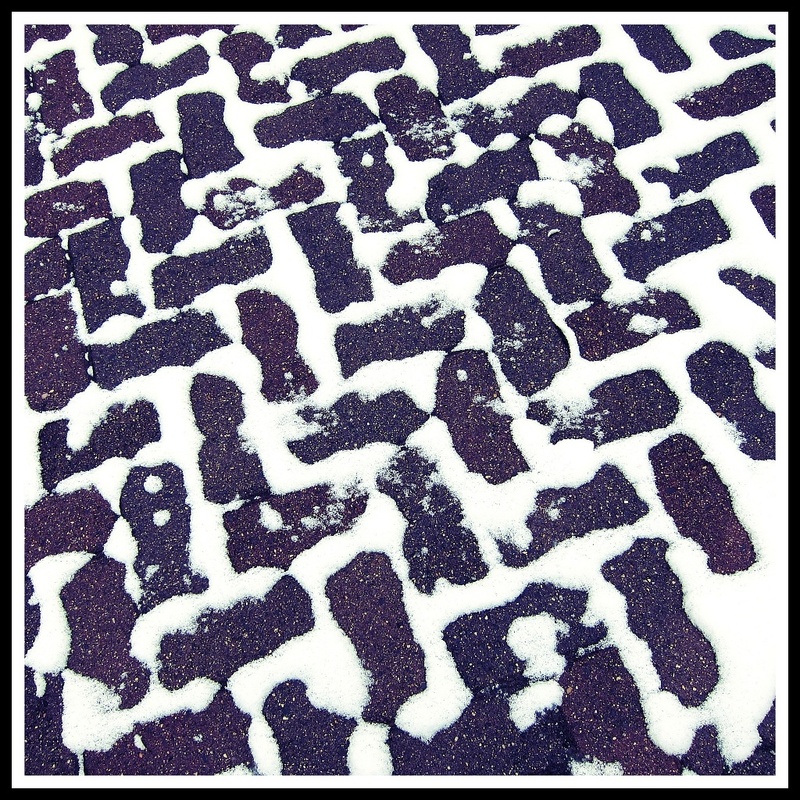 When the snow fell today, it made a beautiful design of its own on the bricks. Naturally nice looking. Can't improve on Mother Nature. That is a neat pattern, I like how the snow filled in around the bricks. I have no computer access tonight so viewing photos on my Droid so when I saw your photo I thought it was a tire tread! What a cool pattern! I really love the way this turned out! Very nice image. It has hypnotic effect. I like these simple shots that were provided by nature. Nice job.